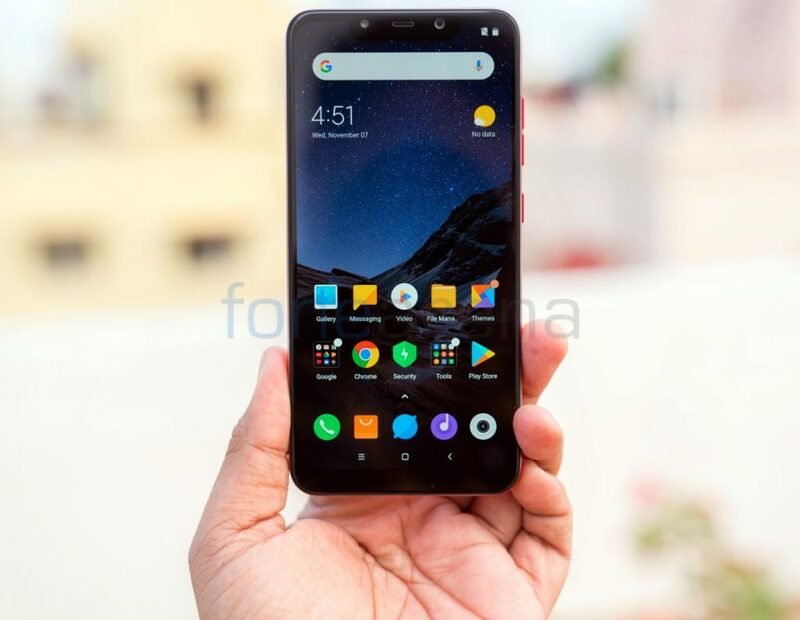 Xiaomi’s sub-brand POCO launched POCO F1 running on Android 8.1 (Oreo) with a skin on top, called MIUI For POCO. At the event, the company promised to roll out Android 9.0 Pie in Q4. After testing Android 9.0 Pie with MIUI Beta testers, the company today started rolling out stable update for the phone, as it has promised. 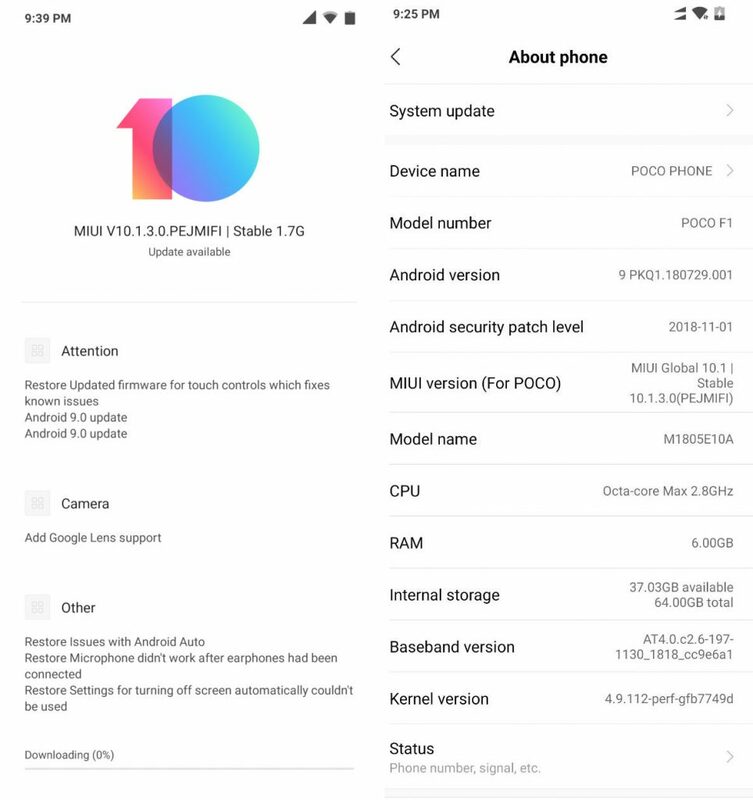 The POCO F1 MIUI 10.1 update has build V10.1.3.0.PEJMIFI, is 1.7GB in size and has Android security patch for November 2018. Since it has started rolling out today, it will take few days to roll out for everyone, but you can download the recovery ROM here and flash using updater method manually. This don’t have new 960fps slow-motion video recording that was introduced with beta update last week. This might be added in the update. Company spokesperson Jai Mani has already confirmed that the device will receive Android Q update as well. Check out the changelog below.